I have just bought a non-stop flowering begonia cunningly entitled ‘Begonia Orange’. 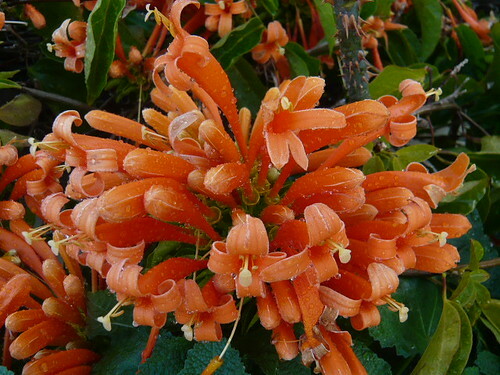 Here are some more orange blooms until the begonia gets going. We host a lot of our pictures on Flikr but regrettably I do not include much in the way of description, comment or location. One feature of Flikr that I am using more progressively is the Groups feature. Here you can link your pictures to the club or group by theme. Some gardener related themes are based on flower colour or family grouping like Iridacea. 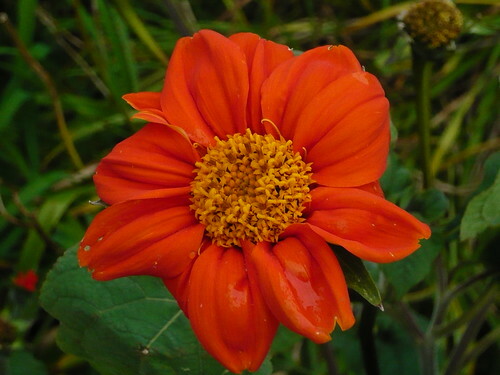 I have posted several Orange Flower Photos to the club link. Post your pictures of Orange Flowers to the group and your photos will get many more views than they would in a general flower group. The simple rules allow you to post 3 photos a day to the group. Real flowers only that are as close to their original appearance in nature as possible. Pictures should feature the flower or flowers, preferably up close. lease do not post pictures where the flowers are only a small focal point.They should be the main part of the picture. Don’t post the same picture to more than one of the color flower groups. Decide which color group it best fits, and only post it to that group. 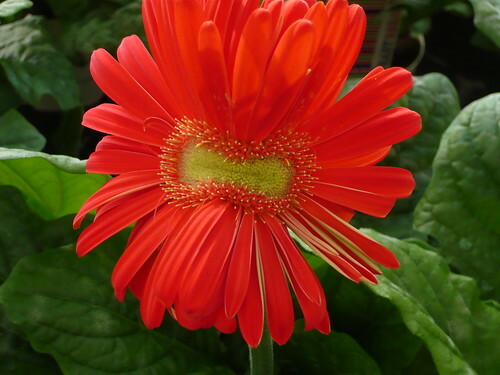 This Gerbera has been distorted by nature and other flowers from the same plant are unlikely to be the same. This feature is called fascination and can happen in many species of plants. 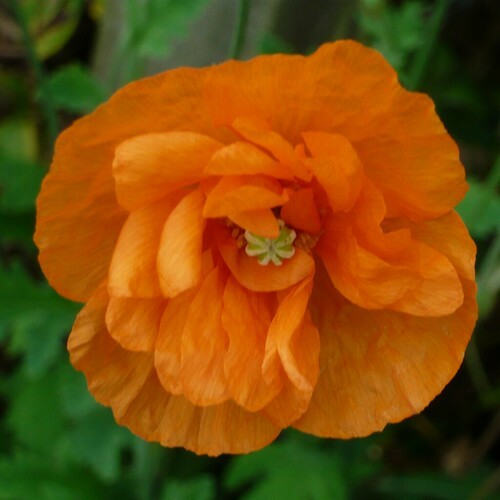 This poppy hints at the tints of orange from just off yellow through to the near full blooded red with orange overtones in the begonia in the featured image on the blog.